When will be Stroker & Hoop next episode air date? Is Stroker & Hoop renewed or cancelled? Where to countdown Stroker & Hoop air dates? Is Stroker & Hoop worth watching? Meet Stroker, a private eye still mastering the art of sleuthing, and his partner Hoop, self-proclaimed master of disguise. Together with their disobedient talking hatchback C.A.R.R., they'll help anyone dumb enough to respond to their 1/8-page ad in the yellow pages and poorly spelled billboards. 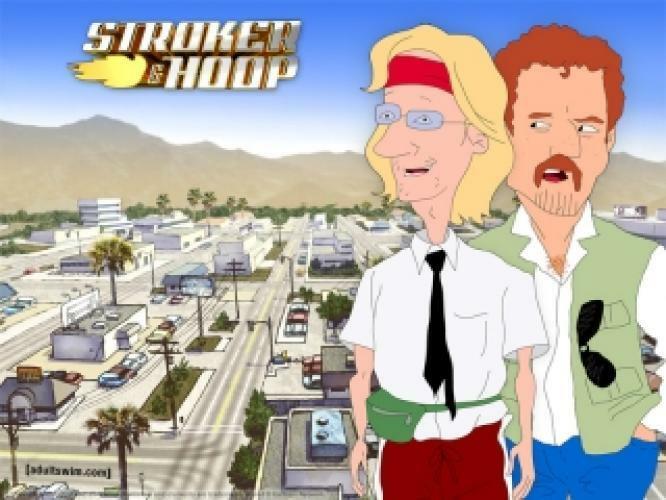 Stroker and Hoop don't always solve the case, but they will sleep late, drive fast and shoot guns trying. EpisoDate.com is your TV show guide to Countdown Stroker & Hoop Episode Air Dates and to stay in touch with Stroker & Hoop next episode Air Date and your others favorite TV Shows. Add the shows you like to a "Watchlist" and let the site take it from there.